Almaty is the largest city in Kazakhstan, with a population of 1,226,000 (as of 1 August 2005), which represents 8% of the population of the country (unofficial sources claim 2,500,900 and 13% correspondingly. 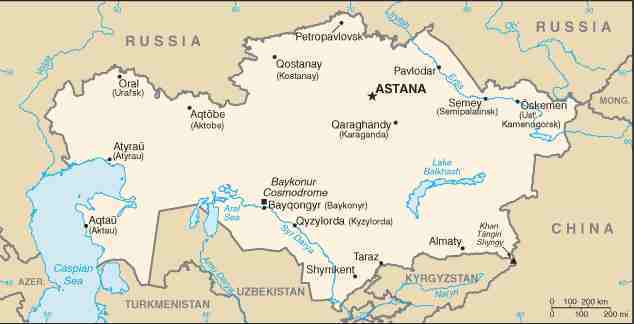 It was the capital of Kazakhstan (and its predecessor, the Kazakh SSR) from 1929 to 1998. Despite losing its status as the capital, Almaty remains the major commercial centre of Kazakhstan. The name "Almaty" means "rich with apple"; the older Soviet-era Russian version of its name, Alma-Ata, originates from a mistake (literally means "Grandfather-apple"). In the surrounding region, there is a great genetic diversity among the wild apples; the region is in fact in the ancestral home of the apple, and the wild Malus sieversii, now considered to be a likely candidate for the ancestor of the modern domestic apple, originates from the area around Almaty. Coincidentally, the world's largest apple (relevant to watermelon size) is also located in Almaty, but unfortunately "Apport" became a part of history. This page was retrieved and condensed from (http://en.wikipedia.org/wiki/Almaty) see Wikipedia, the free encyclopedia, November 2007.